I can think of few things greater to honor my grandfather than to post his book on-line for all to see, thirty years after he published it! Since he passed away before most of us knew what the internet was, he would be astounded to imagine that a man with only a eighth grade education could have his words placed in such a way that literally billions of us could have access to read it. Please, enjoy his stories of growing up in Iowa, America's "bread basket", in the early part of the 20th century (1900s). 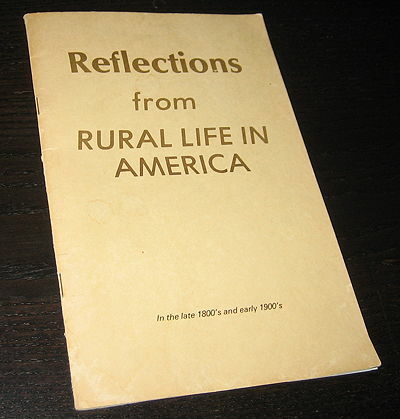 This posting of his text (in full), "Reflections from RURAL LIFE IN AMERICA", and some photos come with the permission of his four children: Everett, Eleanor, Jerry and Karen, and is presented in the same formatting as the original. You are free to print a personal copy of this, but Arthur E. Tolstrup maintains all copyrights to the text and photos.